How People are earning from Blogging and blogs? Want to Work have your own blog? Do you want to share your knowledge with the world? What is RSS or RSS feed? How news is being shares across web? Shared online journals where people can post daily entries or post about their personal experiences and hobbies and can share with the whole world those are available online and knows internet. •	Blog is understood to web developers or designers. Writing your own blogs or creating your own website can bring loads of money at your doorstep. You are simply sitting at your home in front of your computer and making money. This is one of the most efficient and popular way to earn without making any investment. The very first step to create a blog or a web site is to get a domain name and a web host. There are various free web hosting sites where you can host you can sign up and host or website. 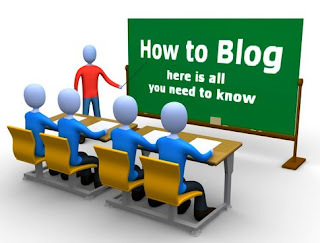 There are two popular websites that provides you free platform for blogging i.e. Blogger and Wordpress. There is a big argue about who is best among them? Blogger Vs Wordpress is a common debate for all blogger both are having different features it is on you which one you like the most. Both these blogging platform provides you the free blog on their sub domain i.e. myblog.blogspot.com and my.blog.wordpress.com. A blog can also be stated as a website as a website is nothing but a name or a domain that has been hosted somewhere and is being live on web. The website is that where people comes and find some useful information and where they can interact with the pages, buttons, links, clicks and other information’s on it. Simply you can treat your blog as your website. Once your domain name is approved and hosted you login to your hosting account, right after the installation your blog would be up and running on yourdomainname.com You can starting blogging and placing your own content. You create blog/website and implement advertisement programs on it that are called as adverts or say paid ads. You attach these advertisements of selling products and promote websites on your blog and get paid by the advertisers. You need to register with any PPC (Pay per click) network such as Google Adsense. After registering and once your account has been approved you will get some piece of codes that is called as java scripts that code you have to paste on your page where you want to show the ads. You place these links within your content and highlight these links. Once a user put cursor on the icon the ads will pop up and if the link is of user’s interest he/she would click and here you go, as the user clicks on the link you would get paid. The more you drive the traffic on your site the more you will be paid by the advertisers. You can drive more traffic on your blog by many ways like posting good quality content on your blogs, posting attractive comments on other blogs, getting registered with the blogging networking sites and joining networking forums. You can earn money through your blogs by referring visitors to a company’s products and services. If a visitor visits company site through your blog you would get commission.